Mindfulness is such a valuable tool that we’re committed to making our courses accessible to everyone working in school communities. This program depends on our community’s generosity and integrity to offer the following registration options. Our promise is to uphold this program for as long as it is sustainable. To begin registration, please carefully review and select from the options below. We understand our community members serve a range of student populations and earn a range of incomes. These options identify just one measurement for need-based financial support. In order to extend support to as many participants as possible, we depend on you to select the option that most closely represents your financial ability. Please click here if these options are still prohibitive. Financial support is made possible through the generosity of individual donations. If you are inspired by this work, please take one minute to sponsor a seat for a community member. The gift of mindfulness reaches more young people with each educator trained. Every Mindful Schools course is facilitated by a Guiding Teacher who provides ongoing feedback, answers questions, and helps the group synthesize emerging themes. All of our Guiding Teachers have over a decade of mindfulness practice and broad teaching experience. Meet a few of them below. 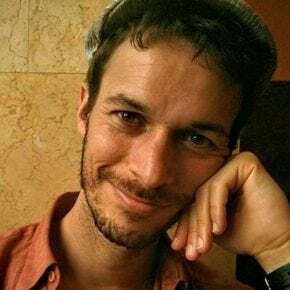 Daniel Yoel Cohen (Danny) has a deep and abiding passion for practices that help people live with greater intimacy, joy, emotional balance, and connection. His experiences while finishing a degree at the Wharton Business School led him to spend the better part of a decade exploring the inner life, largely through NonViolent Communication and Mindfulness. Danny has benefited from intensive retreat and training with teachers in the United States, Nepal, India, Mexico, and Israel, where he was the founding director of a center for spirituality and meditation. Today he works as a psychotherapist and teaches mindfulness and communication courses and retreats for individuals, groups, and organizations. He is a life-long learner who loves people and teaching. Devon Cresci has been practicing mindfulness since 1997. She graduated with her Master’s in Social Work from the University of Pennsylvania in 2002. 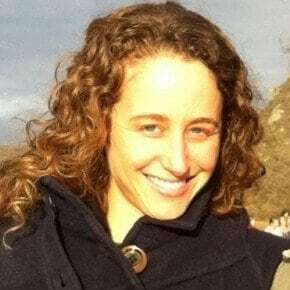 Currently she works part time for Mindful Schools as a Guiding Teacher for their Mindfulness Fundamentals online classes and full time as a Social Worker in a public high school in San Francisco. There, she teaches mindfulness to both students and staff. She is passionate about bringing these practices into SF public schools and has organized district wide trainings for employees who want to bring mindfulness into their work with students. In her summers, she teaches retreats with iBme and has assisted the Young Adult retreat at Spirit Rock Meditation Center. Devon is passionate about sharing the practice of mindfulness and hopes that it may help people find greater peace and happiness. Kevin Griffin is a longtime practitioner and leader in the mindful recovery movement. He is the author of four books, most recently, Recovering Joy: A Mindful Life After Addiction. Kevin has pioneered this influential approach to addiction treatment that incorporates mindfulness, self-inquiry and reflections. He has extensive teaching experience and offers retreats and workshops nationally. 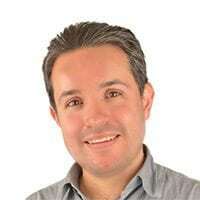 Eric López-Maya has an extensive background practicing mindfulness and integrating it into different scenarios. He directs REDEA, a leading Institution in Mexico City that offers mindfulness-based interventions for mental health, well-being and stress reduction, both for companies and the general public. He also collaborates with the UCLA Mindful Awareness Research Center as an Assistant Teacher in its Certification Program. He is a clinical psychologist and a PhD candidate in Health Psychology and has led and collaborated in contemplative research projects in Mexico, United States and Germany. 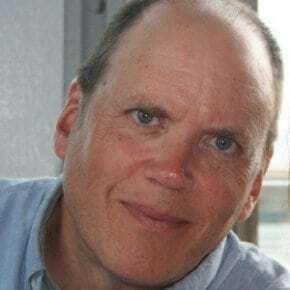 He holds a certificate in Mindfulness Facilitation from UCLA and has completed professional training in Mindfulness-Based Stress Reduction (MBSR) through the programs offered by the University of Massachusetts Medical School. He thoroughly enjoys assisting others to learn and deepen their mindfulness practice. Heather is a UCLA certified mindfulness facilitator and Self Compassion teacher. She has had the opportunity to share the practice of mindfulness in California and Chicago and has accumulated over ten years of teaching experience. She began her own formal practice in 1998, completing her first teacher training 5 years later. In 2007, Heather became interested in secular mindfulness and the neuroscience of practice. Soon after, she began training at UCLA’s Mindful Awareness Research Center, eventually completing the Certification in Mindfulness Facilitation and MAPs Teacher Training. Heather teaches throughout the Los Angeles area in many capacities including training PHD interns self compassion at Tarzana Treatment Center and physicians at UCLA hospitals, helping those in recovery at women’s sober homes, and teaching actors to have more joy in their careers through mindfulness practices. Since 2000 Heather has remained committed to training that includes yearly retreats ranging from 14 to 30 days in length. She is honored to be a guiding teacher for Mindful Schools.